As a licensed Agent of New York Life Insurance Company I offer a variety of products that can help you meet a number of insurance and financial needs, including, but not limited to college funding, retirement, managing costs for extended periods of care and lifetime income strategies. Please contact me to help you fully analyze your needs and recommend appropriate solutions. Neither New York Life Insurance Company, nor its agents, provides tax, legal, or accounting advice. Please consult your own tax, legal, or accounting professionals before making any decisions. Any testimonial on this site is based on an individual’s experience and may not be representative of the experience of other customers. These testimonials are no guarantee of future performance or success. 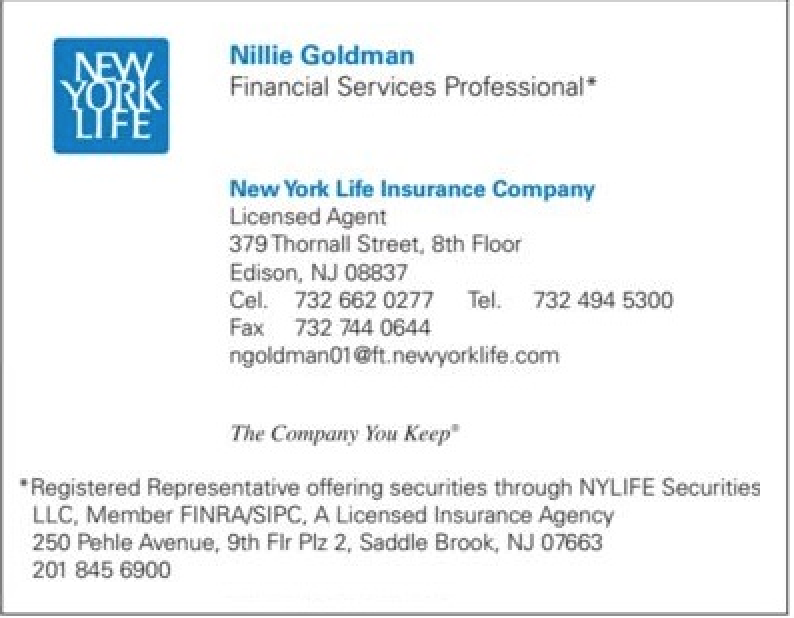 I am an Agent licensed to sell insurance through New York Life Insurance Company. Licensed in the state of New Jersey. Neither New York Life Insurance Company, nor its agents, provides tax, legal, or accounting advice. Please consult your own tax, legal, or accounting professional before making any decisions. I am a Financial Services Professional offering securities products and services through NYLIFE Securities, LLC, Member FINRA/SIPC, A Licensed Insurance Agency. Licensed in the state of New Jersey.